A Large, Colorful, Thin For The Size, Nicely Flaked Nodena Point That Exhibits Surface Frosting Aging And Overall Stone Coloration Patination, Correct Overall Shape, Correct Late Style Blade Flaking, Aged Surface Deposits, Correct Material And Manufacture For The Area Found. The Type Is Found And Associated With The Quapaw Culture In Eastern Arkansas Along The Mississippi River And Westward Up The Arkansas River. 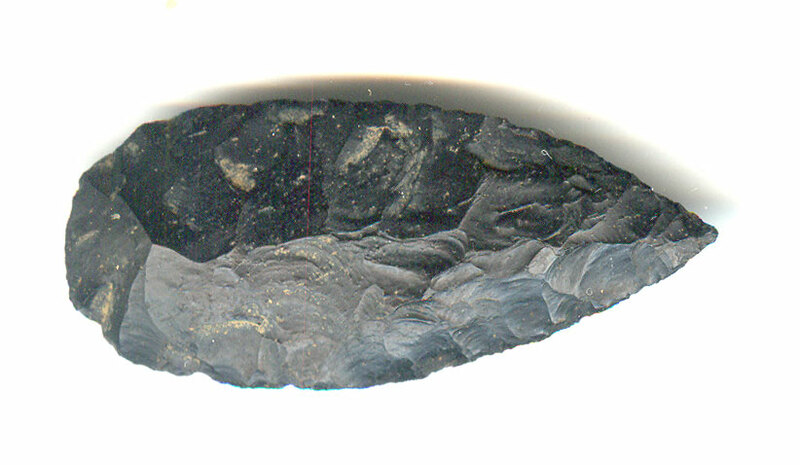 This Is A Very Highly Collectible, Large Example, Being One Of A Cache Of Smaller Similar Offering Points Found With Quapaw Pottery And Often Referred To As A Nodena Blade. Includes A Ken Partain Certificate Of Authenticity!